When I first saw Aentee of Read at Midnight reveal that she was working on a video-game-quest-inspired reading adventure game (woo, mouthful), I knew I had to participate. 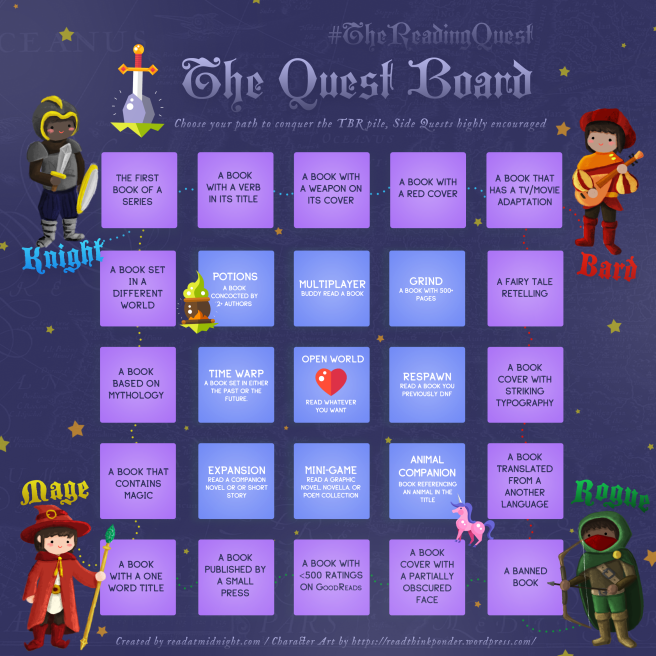 For all of the details of #TheReadingQuest, be sure to take a look at this signup post. 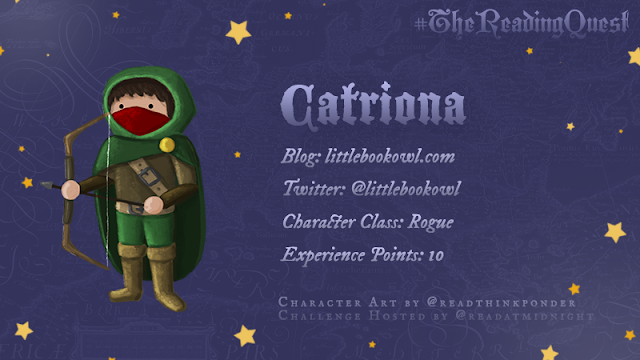 #TheReadingQuest runs from August 13th - September 10th. 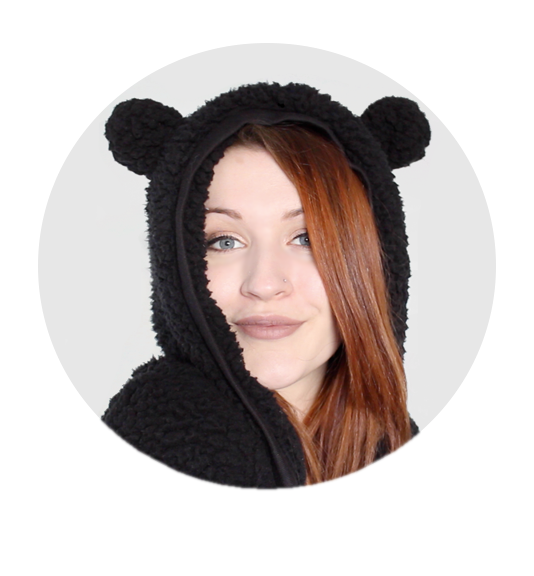 I will be posting weekly updates on the blog, and (hopefully) vlogging the whole time so I can post a video wrap up after it has finished. I will be embarking on the ROGUE path: These adventurers have absolute mastery over stealth and speed, and they slip in and out of the quest through the Fifth Across path. They celebrate underappreciated books and half-forgotten stories. I will be starting at the bottom right corner of the board and working on all of the 5 boxes along the bottom. If I complete all of these, I can then continue along the Mage's path. I can also choose to do any of the side quests (middle boxes) at any time. Below is a tentative TBR of the books I hope to read for the Rogue path, as well as some book options should I choose to do any side quests or continue along the Mage path. Will you be participating? Share your blog posts below! I can't wait for Graevale!! I also really need to get my hands on Every Heart a Doorway as it sounds so good. Here is my TBR post! I'm so glad that you posted about this awesome challenge, otherwise I wouldn't have known about it! 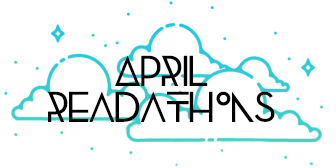 I think this will be so much fun and a nice change from the traditional readathon. I think my kids (I'm a school librarian) would love something like this for our school challenges! My happiness at its peak. Because i know how it was difficult for me to found your blog and now i am super excited to try this challenge.